Superdry women's Annabeth lace top. 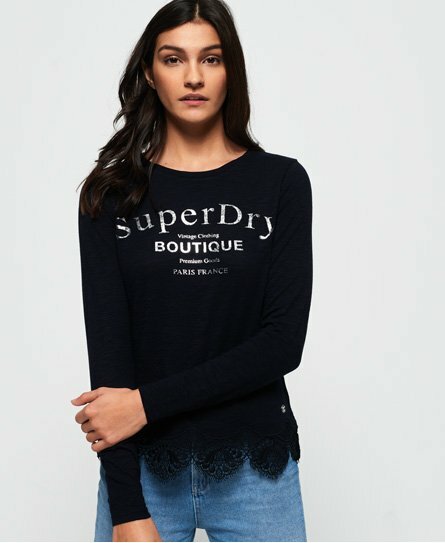 This long sleeve top features a metallic Superdry logo across the chest and lace detailing around the hem. This top is finished with a small Superdry logo badge above the hem. This top can be dressed up with an a-line skirt or dressed down with jeans.